Home to the state's best hospitals and universities, Burlington is the largest city in Vermont and the Chittenden County shire town, 45 miles south of the Canadian border and 94 miles south of Montreal’s European heritage & architecture. Economic growth and employment opportunities are two reasons why individuals relocate to the Burlington-South Burlington metropolis. Lake Champlain is supreme, with the Adirondacks & New York across to the west. Home to UVM, the University of Vermont, Burlington is a youthful city on the water. South Burlington, Essex, Williston, Winooski, Charlotte, Shelburne, Hinesburg, Huntington, Richmond, Jericho, South & North Hero, Underhill & Bolton are all a reasonable commute. With Burlington Airport as your gateway, it takes just over an hour to the Big Apple but you can fly across the nation and internationally too. Ben & Jerry’s was founded in an abandoned gas station in Burlington in 1978 and Forbes Magazine selected Burlington as one of the prettiest towns in America. Outstanding UVM Medical Center serves the city and beyond. Fletcher Free Library and the Church Street Mall or magnets along with a host of outstanding eateries. For the serious localvore or flexitarian, don’t miss the Onion River Co-Op MarketCafe. 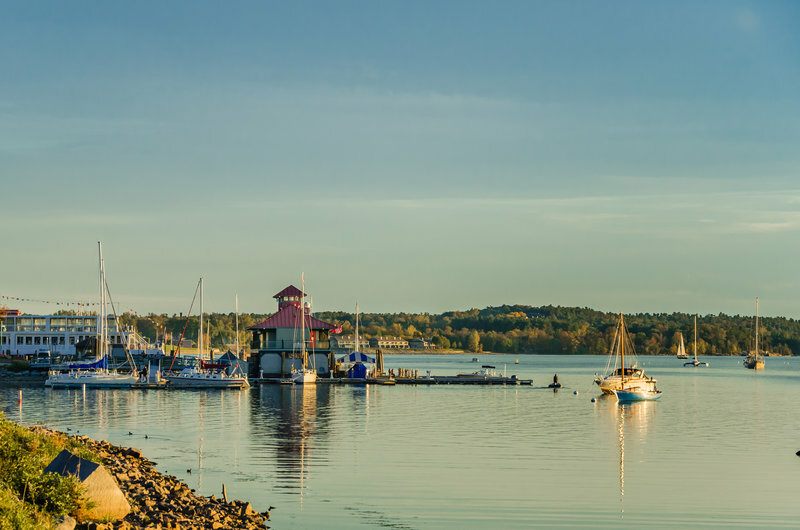 With gorgeous lake views, the verdant Champlain Valley to the south, Burlington and its surrounding towns are a thriving cultural center and one of the most exciting areas in Vermont. Burlington City Arts, Higher Ground, the Flynn Theater, The ECHO Museum, and the Shelburne Museum from this dynamic nexus. Ride the Burlington Bike Path, visit Lake Champlain Chocolates, Burlington's Farmer's Market, the Frog Hollow Craft Center or see the Vermont Lake Monsters play baseball at Centennial Field. Enjoy Burlington Brew Tours, Burlington Segways, the Champlain Ferries. To buy or sell property in Burlington, surrounding towns or anywhere in Vermont, contact Maple Sweet Real Estate. Begin your Burlington real estate search! Find luxury homes or search all current listings. McGill University Health Center, Montreal.